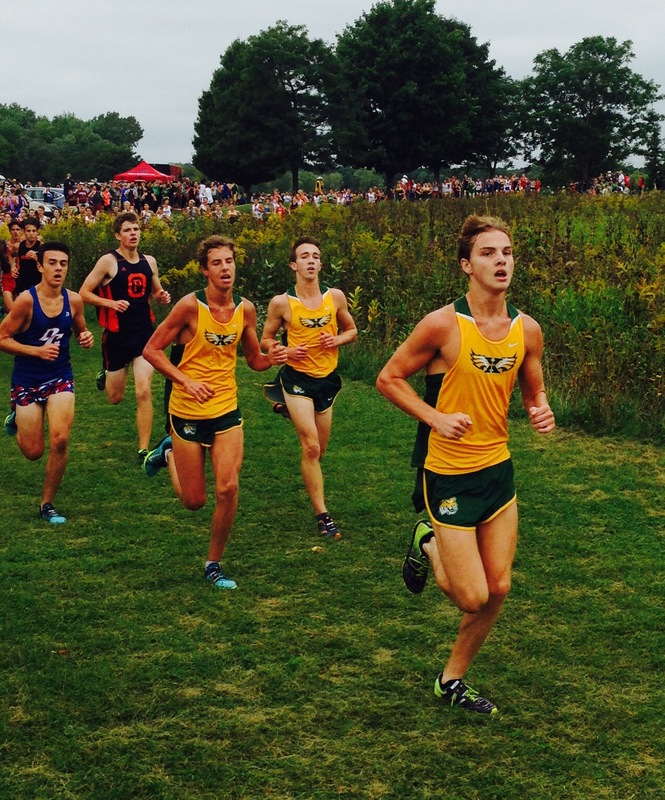 The varsity cross country team placed second in the Palatine Invitational this weekend which had heavy competition from across the country. The Tigers were led by junior Patrick Schaefer, sophomore Grady Shiftlet, and junior Cooper Marchal who placed 17th, 29th, and 30th respectively. Other scorers for the Tigers were sophomore Zach Larkin and senior Ryan Guenthner. “I thought we did pretty well,” said Guenthner. “Our goal at every meet is to win because we feel like we have the talent, but Palatine is a big meet with a lot of strong competition that we’re not used to, so getting second is a pretty good accomplishment. The junior varsity dominated the field with a score of only 24 points. Senior Andrew Edwards won the race and was followed by junior Johnny Vaughan, sophomore Eoin Corbett, junior Clint Sherman, junior Joey Schrepferman, and junior Nick Poole who placed third, fifth, sixth, ninth, and 22nd respectively. Posted on September 25, 2016, in Tiger Cross Country, WSTX Sports. Bookmark the permalink. Leave a comment.